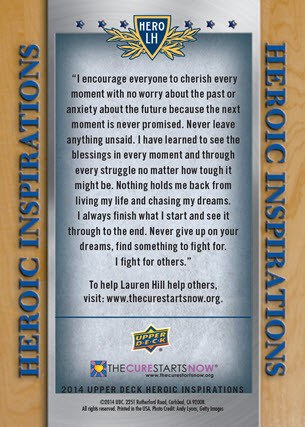 Lauren Hill, the Courageous Basketball Player for Mount St. Joseph, will Receive Her Very Own Upper Deck Heroic Inspirations Rookie Card! 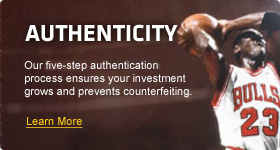 Upper Deck is creating a signed and unsigned version of Lauren Hill’s rookie card with proceeds going entirely to help The Cure Starts Now Foundation to help kids with pediatric brain cancer! CARLSBAD, Ca. (March 04, 2015) – Lauren Hill is the Mount St. Joseph freshman who captured the hearts of millions when she was able to see her dream of playing college basketball come true despite battling an inoperable brain tumor. Although she played just 47 seconds in her team’s opening season game, she scored the game’s first points on a lay-up in route to a victory over Hiram. It was an emotional afternoon, but it created tremendous awareness not just for women’s basketball, but for Lauren’s new mission of encouraging a fight against this insidious disease through The Cure Starts Now Foundation. And now Upper Deck is joining the fight to help raise awareness and funds by creating a rookie card for Lauren Hill with all proceeds going to The Cure Starts Now Foundation. The goal of the foundation is to aid in research so we can ultimately find a cure for pediatric brain cancer and improve the quality of life for those suffering from the disease. 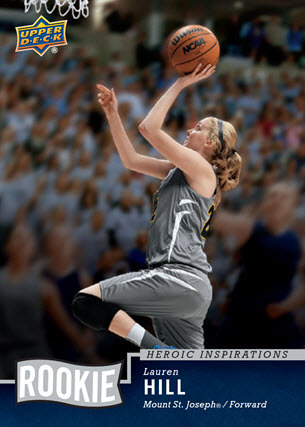 Fans of Lauren Hill can get her Upper Deck rookie card for $10 or an authentic signed version for $50 all through The Cure Starts Now Foundation’s online store. Lauren has since played in more games for Mount St. Joseph and continues to keep an optimistic outlook in the face of such adversity. Upon hearing news she would be honored with her very own Upper Deck rookie card, she was blown away. This is not the first time Upper Deck has created a special card for a child with pediatric brain cancer. In 2013 Upper Deck created a “Star Rookie” trading card for Jack Hoffman, the inspirational young man who was able to fulfill a childhood dream by running a touchdown for his favorite collegiate team during their spring game. Proceeds from the sale of Upper Deck cards made for Jack helped raise over $50,000 to date for the Team Jack Foundation. In 2014 Upper Deck worked with the Friends of Jaclyn Foundation to honor Jaclyn Murphy and Jack Miller who have battled pediatric brain cancer. Lauren Hill, the inspiring young woman from Mount St. Joseph University was diagnosed with DIPG, a rare form of inoperable brain cancer, in November 2013. In November 2014, who captured the heart of a nation with her story and she played in her first collegiate basketball game to a sold out crowd of 10,000 fans despite her diagnosis. Since her diagnosis, Lauren has become an advocate for the "homerun cure" and other children battling cancer. Lauren has used her voice for those children who are too young to speak for the need for funding research for the “homerun cure” to cancer and in 2014 she raised more than $1,400,000 The Cure Starts Now. Lauren knew the research funded will make significant strides for those children yet to be diagnosed. 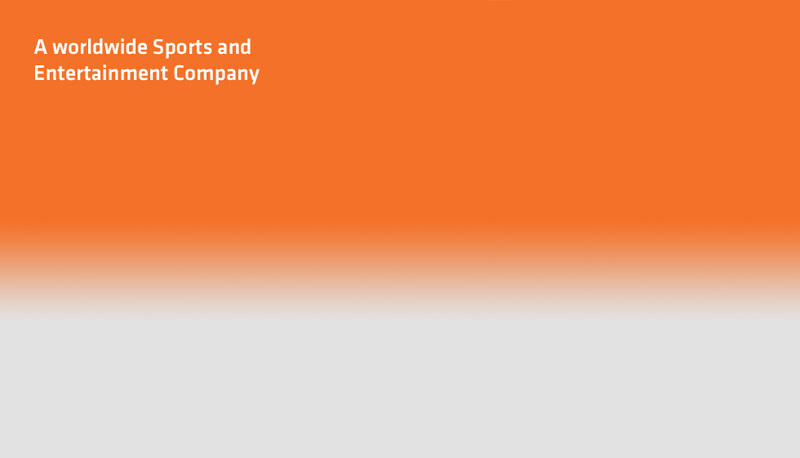 The Cure Starts Now Cancer Research Foundation is one of the only cancer foundations dedicated to a “homerun” cure for all cancers, starting first with one of the most deadly and difficult cancers: pediatric brain cancer. Many experts believe that the lessons we learn from fighting pediatric cancer may in fact provide us the critical first step in winning the battle against all forms of cancer, both pediatric and adult.